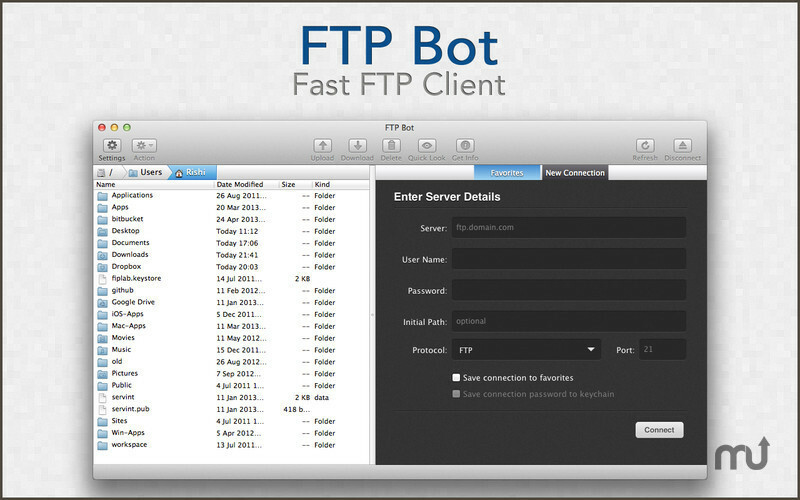 Attractive FTP and SFTP client. Is there a better alternative to FTP Bot? Is FTP Bot really the best app in FTP category? 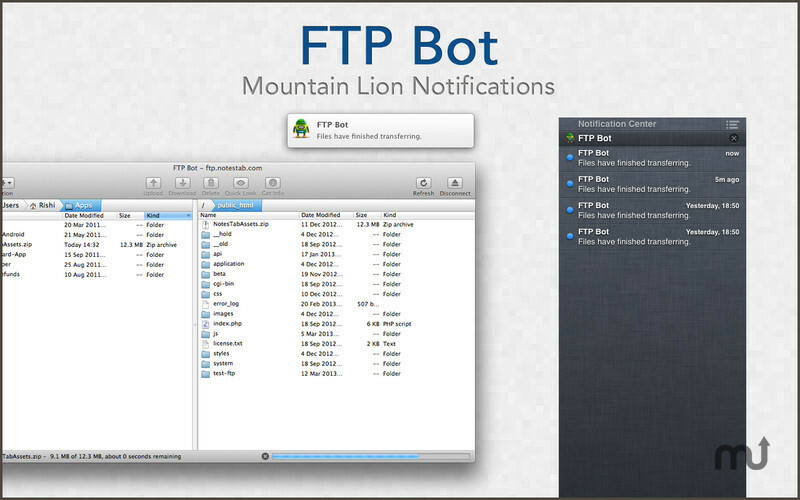 Will FTP Bot work good on macOS 10.13.4? 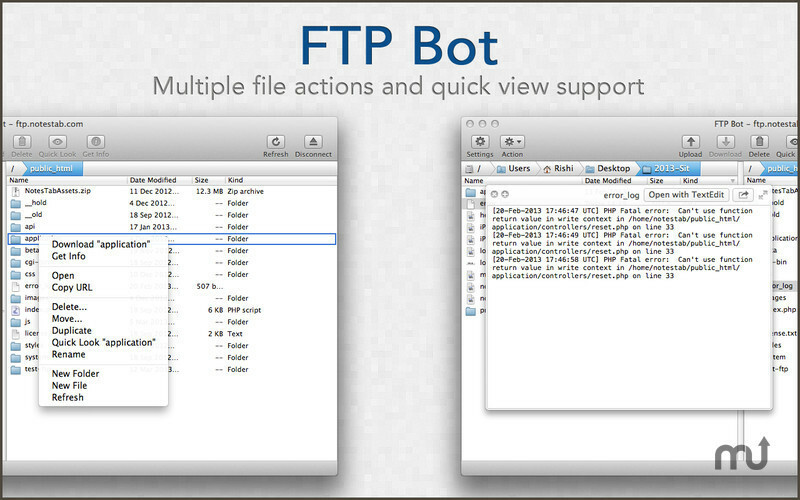 FTP Bot is a full featured FTP and SFTP client that allows you to manage and transfer files/folders between your computer and Web server. It allows you to easily upload, download, delete, create, move files/folders, and much more - all via its beautiful Retina-optimized interface. FTP Bot needs a rating. Be the first to rate this app and get the discussion started!